Right now I’m typing this post on my phone in front of a ginormous fish tank at the aquarium. Kids are roaming, not ready to leave, so I’m enjoying some much-needed solitude in a dark corner, with the mellow sounds of Mayan tribal music (I’m guessing) and the soothing undulating light and colors of the water. It’s been a long day. We’re all tired. Everyone’s starting to get on everyone else’s nerves. We all need a little solitude, at least for a while. So, I’m just going to sit in this quiet corner, enjoy some peaceful solitude, and let my mind wander. 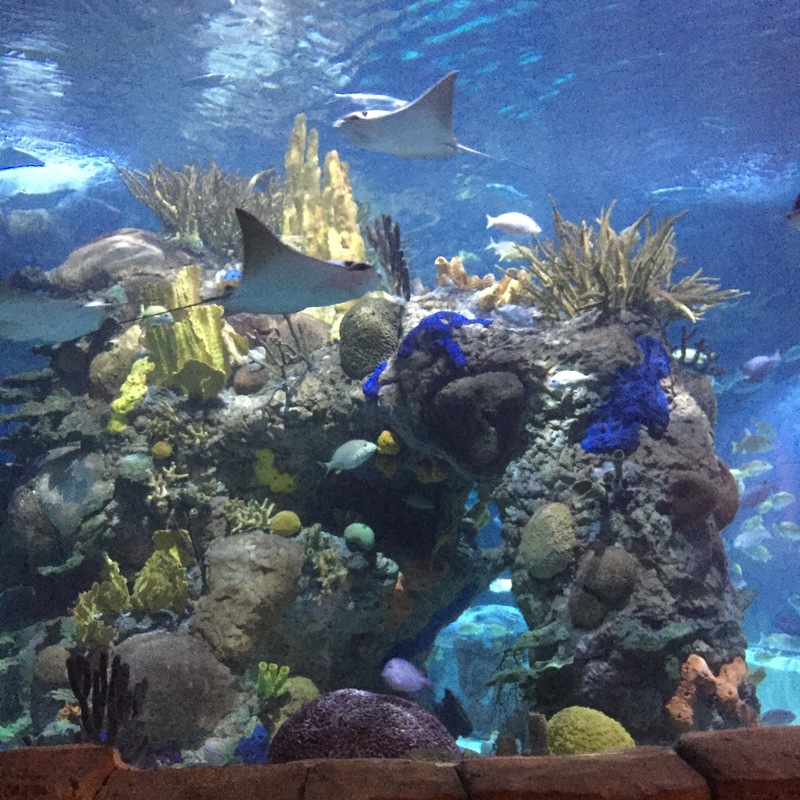 Quick phone slice at an aquarium in a moment of solitude–ironic sort of peacefulness. I may need an entire aquarium room! love your slice and glad you found some much deserved solitude. There is nothing more soothing than an aquarium. What a great place to write a slice. Casey needs an aquarium like that for Winchester! I put myself in the corner sometimes too. Somedays it’s just not possible. but that’s okay too. I like the snapshot!